Akaiito Official > Blog > 2 Advisors on board! We are very excited to announce, that Akaiito is growing and improving. Still there is always space for improvement and we are always seeking for it. Today we would like to announce our cooperation with 2 advisors: Thibault Launay and Deniss Boroditš. 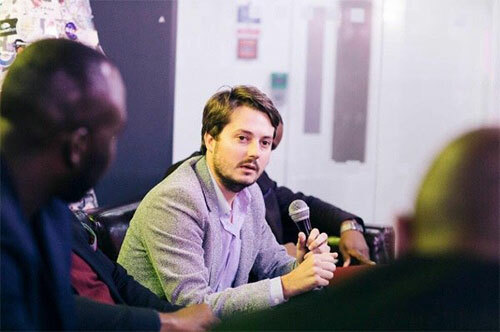 Thibault Launay is a serial entrepreneur with ventures in a Europe and Africa spanning a number of sectors including e-commerce (CEO and cofounder of Afrimalin.com, a leading online classifieds business in 8 African countries). He also serves as an advisor to Senditoo.com, an international mobile top-up business. He has a deep understanding of e-commerce strategy and is also a Crypto-enthusiast. Thibault has a Masters degree in asset management/finance from Paris Dauphine University. Thibault will consult Akaiito in terms of business strategy questions of e-commerce and share his blockchain knowledge. Deniss Boroditš is Estonian politician, member of XIII Riigikogu (unicameral parliament of Estonia). Deniss is already 15 years in politics. Estonia has been always in front yard what comes to tech developments and innovations support. Deniss is one of the young generation of politicians who is turning Estonia into such innovation friendly countries. Deniss is supporting Akaiito idea and is consulting us regarding legislative questions of platform.